Bank for International Settlements - An international organisation fostering monetary and financial cooperation. Serves as a bank for central banks. Bank of America - Banking, credit cards, mortgages and investing. Also see Online Banking page. Board of Governors of the Federal Reserve System - Often referred to as the Federal Reserve or simply the Fed. The central bank of the United States. Central Bank Websites - Links to all central bank websites. Deutsche Bundesbank - The central bank of the Federal Republic of Germany and as such part of the European System of Central Banks (ESCB). Euroclear - Settles domestic and international securities transactions, covering bonds, equities, derivatives and investment funds. Euroclear provides securities services to financial institutions located in more than 90 countries. Also see Wikipedia. International Monetary Fund (IMF) - An organization of 189 countries, working to foster global monetary cooperation, secure financial stability, facilitate international trade, promote high employment and sustainable economic growth, and reduce poverty around the world. Its Executive Board (the Board) is responsible for conducting the day-to-day business of the IMF. It is composed of 24 Directors, who are appointed or elected by member countries or by groups of countries, and the Managing Director, who serves as its Chairman. La Caixa - La Caixa, formally Caixa d'Estalvis i Pensions de Barcelona (Spanish: Caja de Ahorros y Pensiones de Barcelona), is currently Europe's leading savings bank and Spain's third largest financial institution. Due to its nonprofit status, the bank controls the largest charitable foundation in Spain, and one of the largest in the world. Mechanics Bank - Founded in 1905, Mechanics Bank provides personal banking, business banking, trust and estate services, brokerage and wealth management services through thirty-three offices across Northern California. Norges Bank - The central bank of Norway. Apart from having traditional central bank responsibilities such as financial stability and price stability, it manages The Government Pension Fund of Norway, a stabilization fund that may be the world's largest sovereign wealth fund. A Borrower's Guide to an FDIC Insured Bank Failure - The Federal Deposit Insurance Corporation is an independent federal agency created in 1933 to promote public confidence and stability in the nation's banking system. Asian Development Bank (ADB) - ADB is a multilateral development finance institution dedicated to reducing poverty in Asia and the Pacific. ADB is owned by 63 members, mostly from within the Asian and Pacific region. Asian Infrastructure Investment Bank (AIIB) - Wikipedia backgrounder: AIIB is an international financial institution proposed by the government of China. The purpose of the multilateral development bank is to provide finance to infrastructure projects in the Asia region. Bank for International Settlements (BIS) - Fosters international monetary and financial cooperation and serves as a bank for central banks. Head office is in Basel, Switzerland. Bank Holding Company - Wikipedia article: "A bank holding company, under the laws of the United States, is any entity that directly or indirectly owns, controls, or has the power to vote 25% or more of a class of securities of a U.S. bank. Bank holding companies are required to register with the Board of Governors of the Federal Reserve System. Bank holding companies are subject to the Bank Holding Company Act of 1956 (12 U.S.C. § 1841(a)(2)(A) et seq.). "Also see Top 50 Bank Holding Companies from the Federal Reserve Website. Bank Holding Company Act of 1956 - "Bank holding company" means any company which has control over any bank or over any company that is or becomes a bank holding company by virtue of this Act. 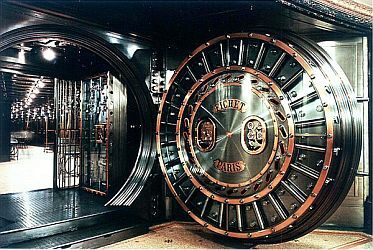 Bank Info Security - Banking information security related news, articles, regulations, bulletins, white papers, webinars, education, and events. Bank Underground - A blog for Bank of England staff to share views that challenge - or support - prevailing policy orthodoxies. Bankaholic - CD (certificate of deposit) rates, money market rates, high interest savings accounts. Bank Search | Bank Tracker: Investigative Reporting Workship - Each quarter the Federal Deposit Insurance Corp. requires every bank in the nation to submit detailed reports about its financial condition. This data is public and contains hundreds of data points for each bank. The Investigative Reporting Workshop downloads the data files from the FDIC website. Using experienced computer-assisted journalists, we extract several key variables of bank performance. Find your bank by name search or state. Also find TARP recipients by name search or by state. Bank Secrecy Act - Financial recordkeeping and reporting of currency and foreign transactions. Bank Secrecy Act/Anti-Money Laundering: Comptroller's Handbook (.pdf) - The Currency and Foreign Transactions Reporting Act,1 also known as the Bank Secrecy Act (BSA), and its implementing regulation, 31 CFR 103, is a tool the U.S. government uses to fight drug trafficking, money laundering, and other crimes. Congress enacted the BSA to prevent banks and other financial service providers from being used as intermediaries for, or to hide the transfer or deposit of money derived from, criminal activity. The Office of the Comptroller of the Currency (OCC) monitors national bank compliance with the BSA and 31 CFR 103. Banking Act of 1933 (or the Glass-Steagall Act) - Backgrounder from Federal Researve History. Also see Full Text of the Banking Act of 1933. Bankster - Providing updates on the financial services re-regulation fight in Congress and for progressive net-roots campaigning against the big boys on Wall Street. BankTracker: Investigating Reporting Workshop - An analysis of bank financial statements by the Investigative Reporting Workshop and msnbc.com, sheds new light on just how dangerous conditions have become in many banks across the nation. The analysis is based on reports every bank is required to file each quarter with the Federal Deposit Insurance Corp., the federal agency that protects deposits and is part of the bank regulatory system. The Investigative Reporting Workshop, a project of the School of Communication at American University, intends to address this fundamental issue for democracy in two important ways: a) By conducting significant investigative journalism projects on a national and international scale; and b) By researching and experimenting with new models for creating and delivering investigative projects. Beige Book 1970 - present - Commonly known as the Beige Book, this report is published eight times per year. Each Federal Reserve Bank gathers anecdotal information on current economic conditions in its District through reports from Bank and Branch directors and interviews with key business contacts, economists, market experts, and other sources. The Beige Book summarizes this information by district and sector. An overall summary of the twelve district reports is prepared by a designated Federal Reserve Bank on a rotating basis. British Banker's Association (BBA) - The leading association for the UK banking and financial services sector, speaking for 223 banking members from 60 countries on the full range of UK or international banking issues and engaging with 37 associated professional firms. CashEdge - Provider of Intelligent Money Movement services, enabling financial institutions to provide a single point of access for multiple easy-to-use consumer and small business transfer capabilities including account funding, me-to-me transfers, third-party transfers, person-to-person payments and small business payments and invoicing. Cayman Islands Information - FindLaw. CEE Bankwatch Network - One of the strongest networks of environmental NGOs in Central and Eastern Europe. The basic aim of the network is to monitor activities of International Financial Institutions (IFIs) in the region, and to propose constructive alternatives to their policies and projects in the region. Commercial Paper Rates and Outstanding - Commercial paper consists of short-term, promissary notes issued primarily by corporations. Maturities range up to 270 days but average about 30 days. Many companies use commercial paper to raise cash needed for current transactions, and many find it to be a lower-cost alternative to bank loans. Maintained by Federal Reserve Board. Committee for Better Banks - A coalition of bank workers, community and consumer advocacy groups, and labor organizations coming together to improve conditions in the bank industry. Works for just wages, career paths and job security for front-line bank workers. Credit Suisse Research Institute - Provides in-depth analysis of fundamental social, economic, scientific, environmental and demographic trends that are expected to impact global markets in the future. CUSIP - The acronym CUSIP historically refers to the Committee on Uniform Security Identification Procedures, which was founded in 1964, during the paper crunch in Wall Street. This 9-character alphanumeric code identifies any North American security for the purposes of facilitating clearing and settlement of trades. The CUSIP distribution system is owned by the American Bankers Association and is operated by Standard & Poor's. The CUSIP Service Bureau acts as the National Numbering Association (NNA) for North America, and the CUSIP serves as the National Securities Identification Number for products issued from both the United States and Canada. EDIE the Estimator - Calculate your FDIC insurance coverage for each FDIC-insured bank where you have deposit accounts. EDIE lets you know in a printable report for each bank whether your deposits are within or exceed coverage limits. Euro Interbank Offered Rate (Euribor) - A daily reference rate based on the averaged interest rates at which banks offer to lend unsecured funds to other banks in the euro wholesale money market (or interbank market). See official EURIBOR (Euro Interbank Offered Rate). European Bank for Reconstruction and Development (EBRD) - EBRD uses the tools of investment to help build market economies and democracies in 27 countries from central Europe to central Asia. EBRD is owned by 60 countries and two intergovernmental institutions. But despite its public sector shareholders, it invests mainly in private enterprises, usually together with commercial partners. European Banking Authority - The EBA acts as a hub and spoke network of EU and national bodies safeguarding public values such as the stability of the financial system, the transparency of markets and financial products and the protection of depositors and investors. The EBA has quite broad competences, including preventing regulatory arbitrage, guaranteeing a level playing field, strengthening international supervisory coordination, promoting supervisory convergence and providing advice to the EU institutions in the areas of banking, payments and e-money regulation as well as on issues related to corporate governance, auditing and financial reporting. European Banking Federation (EBF) - Set up in 1960, the EBF is the voice of the European banking sector, with over 30 000 billion EUR assets and 2.4 million employees in 31 European countries. The EBF represents the interests of some 5000 European banks: large and small, wholesale and retail, local and cross-border financial institutions. European Central Bank (ECB) - Chief financial institution of the European Union. Since 1 January 1999 the ECB has been responsible for conducting monetary policy for the euro area - the world's largest economy after the United States. Also see ECB's Statistical Data Warehouse. Export-Import Bank of the U.S. (Ex-Im Bank) - Provides assistance in financing and facilitating U.S. imports and exports. FDIC Failed Banks - Learn how accounts and loans are affected when a bank fails, how to seek unclaimed funds, and how to obtain a lien release. Temporary Liquidity Guarantee Program - The FDIC has created this program to strengthen confidence and encourage liquidity in the banking system by guaranteeing newly issued senior unsecured debt of banks, thrifts, and certain holding companies, and by providing full coverage of non-interest bearing deposit transaction accounts, regardless of dollar amount. Federal Financial Institutions Examination Council (FFIEC) - The Council is a formal interagency body empowered to prescribe uniform principles, standards, and report forms for the federal examination of financial institutions by the Board of Governors of the Federal Reserve System (FRB), the Federal Deposit Insurance Corporation (FDIC), the National Credit Union Administration (NCUA), the Office of the Comptroller of the Currency (OCC), and the Office of Thrift Supervision (OTS) and to make recommendations to promote uniformity in the supervision of financial institutions. Federal Reserve Bank Beige Book - Commonly known as the Beige Book, this report is published eight times per year. Each Federal Reserve Bank gathers anecdotal information on current economic conditions in its District through reports from Bank and Branch directors and interviews with key business contacts, economists, market experts, and other sources. The Beige Book summarizes this information by District and sector. An overall summary of the twelve district reports is prepared by a designated Federal Reserve Bank on a rotating basis. Federal Reserve Bank of New York - Within the Federal Reserve System, implements monetary policy, supervises and regulates financial institutions, and helps maintain the nation's payment systems. Federal Reserve Education - Here you can find links to instructional materials and tools that can increase your understanding of the Federal Reserve, economics and financial education. Federal Reserve System - The Federal Reserve System (also known as the Federal Reserve, and informally as The Fed) is the central banking system of the United States. It was created in 1913 with the enactment of the Federal Reserve Act, and was largely a response to a series of financial panics, particularly a severe panic in 1907. Over time, the roles and responsibilities of the Federal Reserve System have expanded and its structure has evolved. Events such as the Great Depression were major factors leading to changes in the system. Its duties today, according to official Federal Reserve documentation, are to conduct the nation's monetary policy, supervise and regulate banking institutions, maintain the stability of the financial system and provide financial services to depository institutions, the U.S. government, and foreign official institutions. The Federal Reserve System's structure is composed of the presidentially appointed Board of Governors (or Federal Reserve Board), the Federal Open Market Committee (FOMC), twelve regional Federal Reserve Banks located in major cities throughout the nation, numerous other private U.S. member banks and various advisory councils. The FOMC is the committee responsible for setting monetary policy and consists of all seven members of the Board of Governors and the twelve regional bank presidents, though only five bank presidents vote at any given time. The division of responsibilities of the central bank falls into several separate and independent parts, some private and some public. The result is a structure that is considered unique among central banks. It is also unusual in that an entity (the United States Department of the Treasury) outside of the central bank creates the currency used. According to the Board of Governors, the Federal Reserve is independent within government in the sense that "its decisions do not have to be ratified by the President or anyone else in the executive or legislative branch of government." However, its authority is derived from the U.S. Congress and is subject to congressional oversight. Federal Reserve Discount Window - When the Federal Reserve System was established in 1913, lending reserve funds through the Discount Window was intended as the principal instrument of central banking operations. Although the Window was long ago superseded by open market operations as the most important tool of monetary policy, it still plays a complementary role. The Discount Window functions as a safety valve in relieving pressures in reserve markets; extensions of credit can help relieve liquidity strains in a depository institution and in the banking system as a whole. The Window also helps ensure the basic stability of the payment system more generally by supplying liquidity during times of systemic stress. Regulatory Reform - On July 21, 2010, President Obama signed into law the Wall Street Reform and Consumer Protection Act of 2010. One of the results of this has been The Federal Reserve Board's posting of detailed information on its public website on Dec. 1, 2010, about "more than 21,000 individual credit and other transactions conducted to stabilize markets during the recent financial crisis, restore the flow of credit to American families and businesses, and support economic recovery and job creation in the aftermath of the crisis." Reports to Congress - Report on operations of the Board during the year. Provides minutes of Federal Open Market Committee meetings, financial statements of the Board and combined financial statements of the Reserve Banks, financial statements for Federal Reserve priced services, information on other services provided by the Reserve Banks, directories of Federal Reserve officials and advisory committees, statistical tables, and maps showing the System's District and Branch boundaries. Twelve Federal Reserve Districts - The Federal Reserve officially identifies Districts by number and Reserve Bank city. In the 12th District, the Seattle Branch serves Alaska, and the San Francisco Bank serves Hawaii. The System serves commonwealths and territories as follows: the New York Bank serves the Commonwealth of Puerto Rico and the U.S. Virgin Islands; the San Francisco Bank serves American Samoa, Guam, and the Commonwealth of the Northern Mariana Islands. The Board of Governors revised the branch boundaries of the System in February 1996. Federal Reserve History - Gateway to the history of the U.S. Federal Reserve System. Financial Stability Board (FSB) - Established to coordinate at the international level the work of national financial authorities and international standard setting bodies and to develop and promote the implementation of effective regulatory, supervisory and other financial sector policies in the interest of financial stability. A list of institutions represented on the FSB can be found here. Also see FSB Publications. FINCA International - Provides financial services to the world's lowest-income entrepreneurs so they can create jobs, build assets and improve their standard of living. FINMA - As an independent supervisory authority, FINMA protects the clients of financial markets, namely creditors, investors and insured persons, thereby strengthening confidence in the smooth functioning, competitiveness and integrity of Switzerland's financial centre. Financial Action Task Force on Money Laundering (FATF) - An inter-governmental body whose purpose is the development and promotion of policies, both at national and international levels, to combat money laundering and terrorist financing. The FATF was established by the G-7 Summit held in Paris in 1989. Find a Better Bank - Compare banks: up-to-date checking, savings and money market account information for over 11,000 US cities and towns and over 53,000 branch locations. First Bank of the United States - A bank chartered by the United States Congress on February 25, 1791. The charter was for 20 years. The Bank was created to handle the financial needs and requirements of the central government of the newly formed United States, which had previously been thirteen individual colonies with their own banks, currencies, and financial institutions and policies. The national bank had many opponents, and the proposal to renew its charter was defeated. Stephen Girard, a prominent Philadelphia merchant and one of the Bank's stockholders, bought most of the assets and used the building to house his own banking business. FRASER (Federal Reserve Archival System for Economic Research) - A data preservation and accessibility project of the Federal Reserve Bank of St. Louis. FRASER's mission is to safeguard and provide easy access to economic history-particularly the history of the Federal Reserve System. Glass-Steagall Legislation - Refers to four provisions of the U.S. Banking Act of 1933 that limited commercial bank securities activities and affiliations within commercial banks and securities firms. Also see Full Text of the Glass-Steagall Act Followed by New York Federal Reserve Bank Explanation. Glossary of Budgetary and Economic Terms - This glossary defines economic and budgetary terms as they relate to the Congressional Budget Office's annual Budget and Economic Outlook. GoBankingRates - Connecting readers with the best interest rates on financial services nationwide, as well as informative personal finance content, news and tools. GOBankingRates collects interest rate information from thousands of U.S. banks, credit unions and lenders. Gramm-Leach-Bliley Act - Wikipedia article: "An Act of the United States Congress which repealed part of the Glass-Steagall Act of 1933, opening up competition among banks, securities companies and insurance companies. The Glass-Steagall Act prohibited a bank from offering investment, commercial banking, and insurance services. The Gramm-Leach-Bliley Act (GLBA) allowed commercial and investment banks to consolidate. For example, Citibank merged with Travelers Group, an insurance company, and in 1998 formed the conglomerate Citigroup, a corporation combining banking and insurance underwriting services under brands including Smith-Barney, Shearson, Primerica and Travelers Insurance Corporation. This combination, announced in 1993 and finalized in 1994, would have violated the Glass-Steagall Act and the Bank Holding Company Act by combining insurance and securities companies, if not for a temporary waiver process. The law was passed to legalize these mergers on a permanent basis. Historically, the combined industry has been known as the financial services industry." 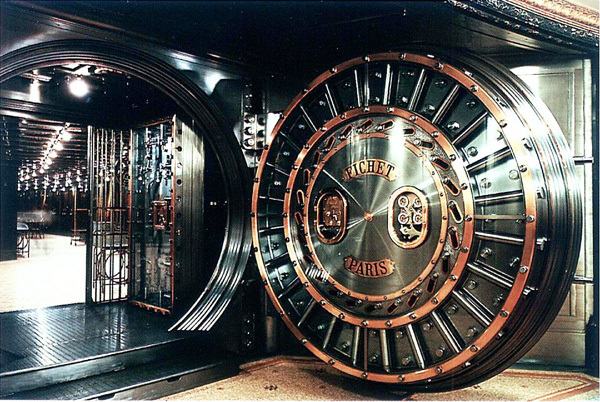 How Swiss Bank Accounts Work - Article by Lee Ann Obringer. International Journal of Finance and Banking Studie(IJFBS) - A peer-reviewed, free, open access and refereed academic journal published online quarterly by the Society for the Study of Business and Finance. IJFBS's provides a world-wide scholarly intellectual base for researchers and academicians. International Money Transfers (IMT) - International money transfers can cost as much as 4% of the total amount transferred, in fees, commissions and currency exchange rate spreads. Stop overpaying banks and find cheaper means of transfer. Use this Finder Wizard to choose the best company to work with and get the lowest fees when you transfer money abroad. International Primary Market Association (IPMA) - Trade association for the leading banks and investment banks of the world. International Securities Services Association (ISSA) - ISSA is a private sector organisation without backing or mandate by any public sector entity. It was incorporated in 1989 as a non-profit association under Swiss law in Zurich, Switzerland. Membership is subject to invitation by the executive board. Eligible for membership are institutions such as custodian banks, clearing organisations, central depositories, stock exchanges, brokers, asset managers. Currently, ISSA has around 100 member institutions world-wide and 2000 subscribers to its publications all over the world. Investec - Independent, international specialist banking group. Investec's four core areas of activity are: investment banking and principal transactions, corporate banking and interest rate activities, private client group and asset management. Japanese Bankers Association (JBA) - JBA takes lead in dealing with issues confronting the Japanese banking industry, develops opinions and positions for the industry as a whole, and provides recommendations and requests to relevant domestic and foreign organizations and individuals. KYC News - News on financial fraud, money laundering, and white collar crime. London Banker - Blogging on central banking and securities markets regulation. London Interbank Offered Rate (LIBOR) - A daily reference rate based on the interest rates at which banks offer to lend unsecured funds to other banks in the London wholesale money market (or interbank market). LIBOR will be slightly higher than the London Interbank Bid Rate (LIBID), the rate at which banks are prepared to accept deposits. Mortgage Lender Implode-O-Meter - Tracking the housing finance breakdown: a saga of corruption, hypocrisy, and government complicity. National Information Center (NIC) - A central repository of data about banks and other institutions for which the Federal Reserve has a supervisory, regulatory, or research interest, including both domestic and foreign banking organizations operating in the United States. This web site provides access to NIC data, allowing the public to search for detailed information about banking organizations. New York Times BanxQuote Banking Center - Features daily quotes on online banking, loans and deposits offered by financial institutions in each market. It covers metropolitan, state-by-state, regional and national composite benchmarks for each banking product, as well as useful snapshot profiles of the banking institutions. Benchmark quotes are generally based on the three largest financial institutions in each state, based on asset size and market share. Office of the Comptroller of the Currency (OCC) - Charters, regulates, and supervises national banks to ensure a safe, sound, and competitive banking system that supports the citizens, communities, and economy of the United States. Offshore Library - Brings together in one location all of key offshore finance, business and service provider facts, figures and contacts allowing end-users and site members to search and source any offshore products or services information they require. OffshoreAlert - Offshore banking and finance news from KYC News. Partnerships Bulletin (UK) - Providing in-depth updates on partnership working between the public and private sector, including the private finance initiative (PFI), public private partnerships (PPPs) and newer models, such as asset backed regeneration vehicles. PopMoney - An innovative payment service offered by leading financial institutions. Popmoney eliminates the hassles of checks and cash by allowing you to send and receive money as easily as you send and receive email and text messages. Best of all, you can just use your current bank account. If your bank offers Popmoney, you can send and receive money directly through your bank's online and mobile banking site. Otherwise, you can receive your money by providing your bank account information at Popmoney.com. Once you provide that information, your money will be sent to that bank account. Also see this FAQs page at FNBO Direct. and this "Get Started" page at BOTW. Private Equity Firm - Wikipedia: "A private equity firm is an investment manager that makes investments in the private equity of operating companies through a variety of loosely affiliated investment strategies including leveraged buyout, venture capital, and growth capital. Often described as a financial sponsor, each firm will raise funds that will be invested in accordance with one or more specific investment strategies." Also see List of investment banking private equity groups. Public Banking Institute - An educational non-profit organization. Its mission is to further the understanding, explore the possibilities, and facilitate the implementation of public banking at all levels -- local, regional, state, and national. Report of the Special Investigation Commission (SIC) - The Commission was established by Act No. 142/2008 by Althingi [the Icelandic Parliament] in December 2008, to investigate and analyse the processes leading to the collapse of the three main banks in Iceland. The SIC delivered its report to Althingi on April 12 2010. Reserve Bank of Australia (RBA) - RBA's main function is monetary policy. Riggs Bank - Riggs Bank was a Washington, DC-based commercial bank with branches located in the surrounding metropolitan area and offices around the world. For most of its history, it was the largest bank in the nation's capital. Riggs had been controlled by the Albritton family since the 1980s, but they lost control after various corporate scandals and management problems. Royal Bank of Scotland: Financial Services Authority Board Report (Dec 2011) - Covers the causes of the October 2008 failure of RBS; and deficiencies in, and lessons for, the regulatory framework, supervision and the management of firms. It also explains the decisions reached by the FSA's Enforcement and Financial Crime Division on whether there were grounds for bringing enforcement action for breaches of FSA rules. Swiss Bankers Association (SBA) | SwissBanking - The SBA is the leading professional organisation of the Swiss financial centre. Its main purpose is to maintain and promote the best possible framework conditions for the Swiss financial centre both at home and abroad. Swiss Bankers Association Dormant Accounts Site - In February 2001 and January 2005 lists of accounts from banks in Switzerland have been published and victims and targets of the Nazi-Persecution can claim these accounts. Also see Holocaust Victims Asssets Resolution page and ICEP Final Report. Swiss Banking - Questions and answers about the Swiss banking system. Topics include whether a Swiss bank account can be opened entirely via the Internet, the difference between "anonymous" and "numbered" accounts, the safety of Swiss banks, and how "secret" Swiss banks are ("rights to privacy can be suspended when a criminal investigation is underway"). Includes links to related issues such as client confidentiality. From the Swiss Bankers Association. Swiss Federal Banking Commission (SFBC) - Find a description of the various areas over which the SFBC serves as supervisory authority, past publications of the SFBC, regulations and laws governing the SFBC, a listing of institutions under the SFBC, and more. System Open Market Account (SOMA) - SOMA consists of the Federal Reserve's domestic and foreign portfolios, in addition to reciprocal currency arrangements made with foreign official institutions. The SOMA domestic portfolio consists of U.S. Treasury securities held on both an outright and a temporary basis. The SOMA foreign currency portfolio consists of investments denominated in euros and yen. The Federal Open Market Committee (FOMC) has designated the Federal Reserve Bank of New York to execute open market transactions on behalf of the entire Federal Reserve System. The resulting investments are held in the SOMA portfolio. Interest on the portfolio provides virtually all of the Fed's income; nevertheless, the central bank buys and sells securities purely to implement monetary policy and not for profit. In addition, while the Treasury, in consultation with the Federal Reserve System, has responsibility for setting U.S. exchange rate policy, the New York Fed is responsible for executing foreign exchange intervention. The U.S. monetary authorities-the Treasury and the Fed-may intervene in the foreign exchange market to counter disorderly market conditions, using funds that belong to the Federal Reserve and to the Exchange Stabilization Fund (ESF) of the Treasury Department. TED Spread - TED spread is the difference in yields between inter-bank and U.S. Government loans. Initially, the TED spread was the difference between the interest rate for the three month U.S. Treasuries contract and three month Eurodollars contract as represented by the London Inter Bank Offered Rate (LIBOR). However, since the Chicago Mercantile Exchange dropped the T-bill futures, the TED spread is now calculated as the difference between the three month T-bill interest rate and three month LIBOR. The TED spread is a measure of liquidity and shows the degree to which banks are willing to lend money to one another. The TED spread can be used as an indicator of credit risk. This is because U.S. T-bills are considered risk free while the LIBOR rate reflects the credit risk of lending to commercial banks. As the TED spread increases, the risk of default (also known as counterparty risk) is considered to be increasing, and investors will have a preference for safe investments. As the spread decreases, the risk of default is considered to be decreasing. Tokyo Interbank Offered Rate (TIBOR) - Daily reference rate based on the interest rates at which banks offer to lend unsecured funds to other banks in the Japan wholesale money market (or interbank market). TIBOR is published daily by the Japanese Bankers Association (JBA). UK Parliamentary Commission on Banking - Appointed by both Houses of Parliament to consider and report on professional standards and culture of the UK banking sector, taking account of regulatory and competition investigations into the LIBOR rate-setting process and lessons to be learned about corporate governance, transparency and conflicts of interest, and their implications for regulation and for Government polic. Also see Publications page. Vanuatu - South Pacific offshore finance center. offshore company and offshore shelf companies available instantly with bank account, registered agent, registered office, nominee directors and shareholders. What is Check 21? - A backgrounder: Check 21 (the Check Clearing for the 21st Century Act) allows banks to replace original paper checks with "substitute checks" that are made from digital copies of the originals. Wolfsberg Group - An association of twelve global banks, which aims to develop financial services industry standards, and related products. Bitcoin - An experimental, decentralized digital currency that enables instant payments to anyone, anywhere in the world. Bitcoin uses peer-to-peer technology to operate with no central authority: managing transactions and issuing money are carried out collectively by the network. Bitcoin Block Explorer - An n open source web tool that allows you to view information about the blocks, addresses, and transactions created by bitcoin. Bitcoin Cash - Peer-to-peer electronic cash. Merchants and users are empowered with low fees and reliable confirmations. Bitcoin Charts - Various bitcoin charts and currency statistics. More charts here. Bitcoin Film - Bitcoin documentaries from around the world. Bitcoin Forum - Discussion board. Bitcoin Foundation - Standardizes, protects and promotes the use of bitcoin cryptographic money for the benefit of users worldwide. Bitcoin Magazine - Source of information, news and commentary about bitcoin and crypto-currencies. Bitcoin Shopping Cart Interfaces - Software for providing online shopping websites a method for handling payment in Bitcoins. Bitcoin: What is it? - Online educational course in bitcoin. BitcoinMining - With paper money, a government decides when to print and distribute money. Bitcoin doesn't have a central government. With bitcoin, miners use special software to solve math problems and are issued a certain number of bitcoins in exchange. This provides a smart way to issue the currency and also creates an incentive for more people to mine. Bitcoin Wiki - Information on bitcoin, an experimental, decentralized digital currency that enables instant payments to anyone, anywhere in the world. BTC China - Offers the largest bitcoin trading platform for China. CoinDesk - Bitcoin news, prices, charts, guides, and analysis. CryptoLab - An educational resource containing information for people interested in buying, selling, and investing cryptocurrencies. Also see Cryptionary: A guide to the terms and concepts that define blockchain and cryptocurrencies. How to Buy Bitcoins - Listing of places to buy bitcoins in your country. Payments by bank transfer, PayPal and phone, as well as many other methods. Let's Talk Bitcoin - Twice weekly audio show with co-hosts Andreas M. Antonopoulos and Stephanie Murphy, PhD. useBitcoins - Explore places all over the net, accepting bitcoins. WeUseCoins - Portal into the world of bitcoin. CannabisCoin - A peer-to-peer cryptocurrency for the Cannabis Community. Instant real world payments. CryptoCurrency Market Capitalizations - CryptoCurrency market cap rankings, charts, and more. Dispensary tested. CryptoLab - A self-guided cryptocurrency education. Also see Cryptionary, a guide to the terms and concepts that define blockchain and cryptocurrencies. Ethereum - A decentralized platform for applications that run exactly as programmed without any chance of fraud, censorship or third-party interference. This enables developers to create markets, store registries of debts or promises, move funds in accordance with instructions given long in the past (like a will or a futures contract) and many other things that have not been invented yet, all without a middle man or counterparty risk. RippleNet - Blockchain solution for global payments. Token Data - News, data and analytics for all initial coin offerings (ICO) and tokens. This webpage last updated on Wednesday, September 5, 2018 2:03 PM.